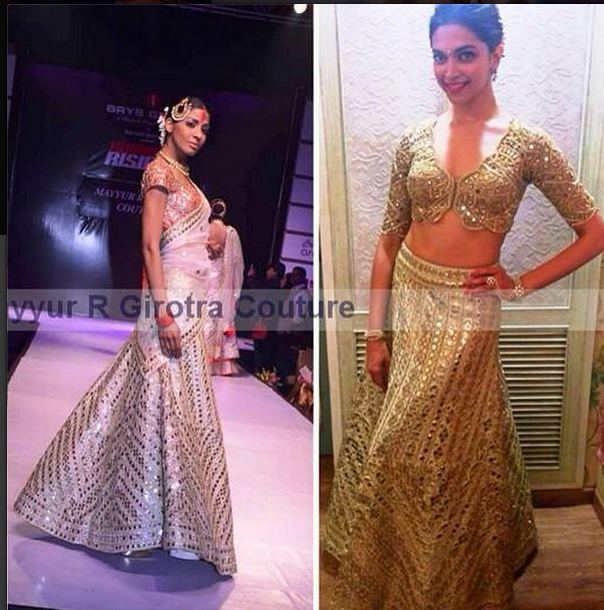 For Stardust awards performance, Deepika Padukone wore scallop mirrorwork choli by Arpita Mehta and embroidered lehenga by Mayyur Girotra. She looked dazzling on stage. We would not rate stage performance outfits. They need to be OTT.